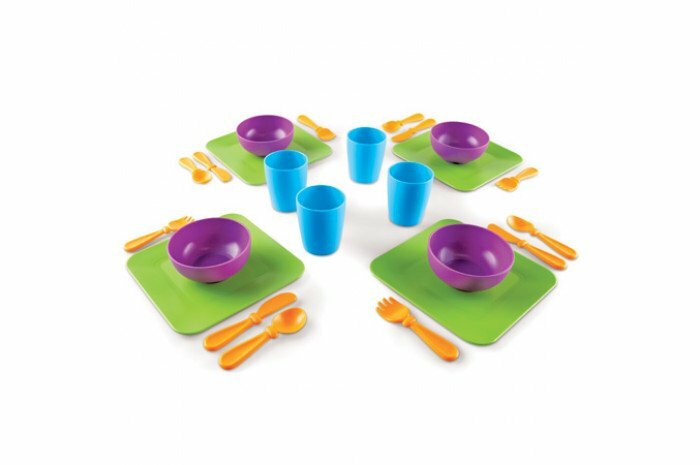 Dish up some food in the playroom with this set of dishes. 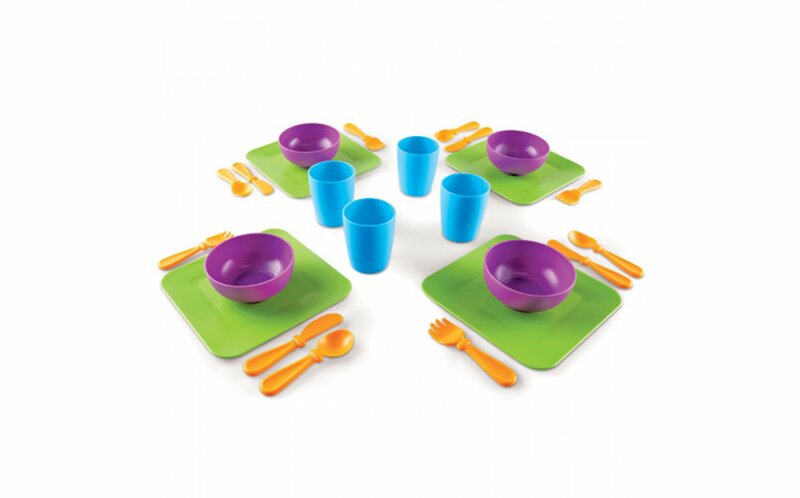 Includes 4 each of: plates, bowls, cups, knives, forks, and spoons. 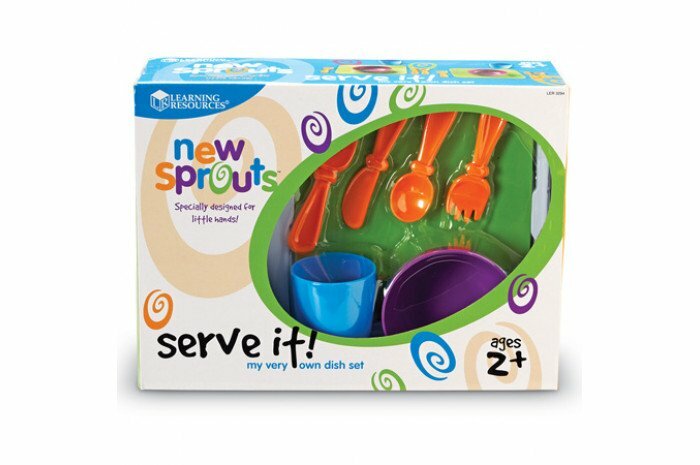 Gender neutral colors too.